Volunteer - Wagner Subaru Outdoor Experience - Midwest’s premiere outdoor adventure festival. We would not be able to pull off such a great event without the support of hundreds of volunteers! Here's how you can help. Whether you’re already an official Five Rivers MetroParks volunteer or you just have a few hours available, you can help create the magic of the Wagner Subaru Outdoor Experience. Novices and veterans alike are welcome. Many volunteer opportunities are available during OutdoorX. Volunteer opportunities include event setup the week of the event, support of activities during the event weekend and event tear down. Volunteers will receive a T-shirt and delicious snacks! Provide a checkpoint for safety requirements such as wearing helmets at activity areas. Help build the event by setting up various areas; help with post-event tear down. Provide excellent customer services to visitors attending the event; answer questions; give site directions. Help us reduce waste by manning a waste station at the event. Help support our paddling area by fitting life jackets and helping visitors getting in and out of boats. If you’re interested in volunteering at this year’s event, please contact Jenny Hymans at jenny.hymans@metroparks.org. How old does someone have to be in order to volunteer at this amazing event? 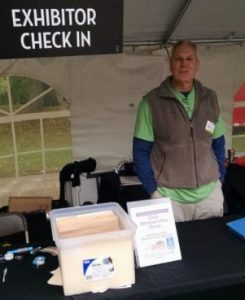 You must be at least 14 years old to volunteer at a MetroParks event and a parent/guardian must be on site at all times. This is a family friendly event, so we encourage your whole family to get involved somehow. When should I arrive for my scheduled volunteer shift? Please arrive at the Volunteer Registration tent using the Springfield Street entrance to Eastwood MetroPark 15 minutes before your scheduled shift starts. This will allow time to check in, find your assigned area, and meet the friendly faces who’ll be volunteering with you. Whom do I contact if I have to cancel at the last minute? If for some reason you get sick or have an emergency that prevents you from volunteering for your shift, please contact Jenny Hymans, Volunteer Coordinator, at 937-275-7275 (PARK) or jenny.hymans@metroparks.org or Volunteer Services as soon as possible so we can fill the vacancy. Are snacks and drinks provided? We appreciate the effort of our volunteers and will again be providing a hospitality area with snacks and drink. We appreciate all of the businesses who donated or discounted products and services to support the hospitality area including; Subway, Papa Johns Pizza, Whole Foods, Barry Bagels, and more. Let us know if you would like to help at the event! If you’re interested in volunteering at this year’s event, please sign up! Grow the outdoor community with us!